Residential customers with the Electric Ireland and PrePayPower will see an increase in their gas and electricity prices from Monday 1st April. With an increase of 4% and 3.9% respectively this is a significant jump to the cost of residential energy. The increase will add an additional €38 a year to the average electric Ireland customer, with PrePayPower customers expected to see an increase of €50 in their electricity bills. 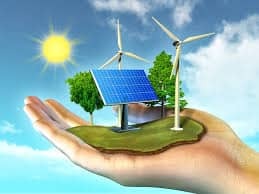 With such a reliance on importing our energy, perhaps it is time to take control of your energy bills by looking towards renewable energy for homes and businesses. A renewable energy resource such as solar energy can be easily installed onto your current building and provide you with free electricity. Solar energy is clean and affordable and by harnessing the energy provide by the sun you can take control of your energy costs. Solar panels will work on sunlight, rather than heat from the sun, this means that even in cloudy days, you are generating electricity and will gather enough energy to power your home or business. With payback in as little as 5 – 7 years, you are generating all your electricity requirements free. If you are a business customer and would like to know more about renewable energy and taking control of your costs – call us today on 051 364 054.